Hello Everyone! I love this time of the year when the festivities begins from October and goes till the end of the year. Festival is the time when you can share some fun filled moments with your loved ones, acquaintances etc. Pretty Indian outfits with gifts and get together surely makes the festivals as awaited time of the year. Especially during Diwali, my house gets filled with Gifts, chocolate, sweets and some other random things/gifts. I love to give gifts which make my loved ones happy and the reaction on their faces is just priceless. Mostly I would get gifts which they wanted or would be at least useful for them. This is why when any of them is sharing what they need during a normal conversation, I would take a note of that. 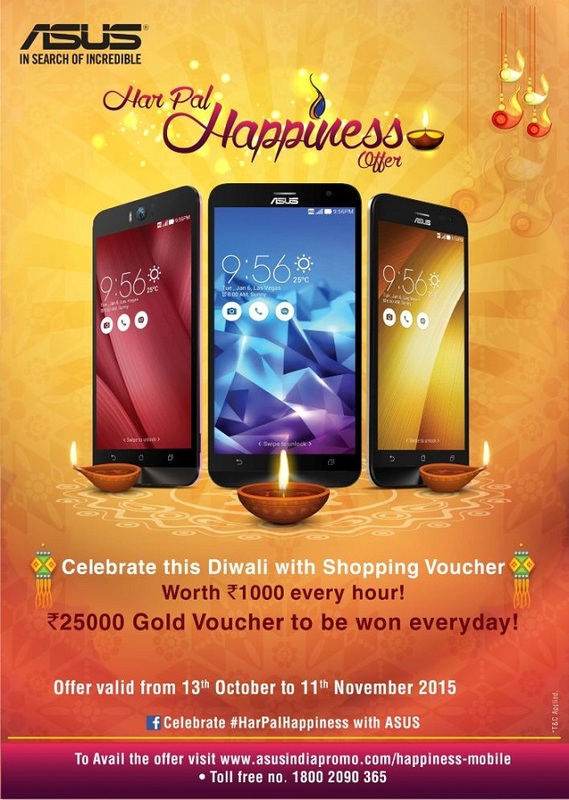 Last year, I shared a post on ASUS Zenfone 5 which I had used, that was my first brush up with this brand and now ASUS has come up with this exciting "Har Pal Happiness Offer", where customers buying an ASUS Zenfone will get a chance to win Flipkart gift vouchers worth Rs.1,000 every hour. And, one lucky customer will also stand a chance to win gold vouchers worth Rs.25,000 every day! Really exciting? Fingers crossed. Not only this, it’s more like gifting your loved one an ASUS phone which can give you a chance of winning a gift for yourself as well. I was thinking of getting a new phone for my "would be" and I think ASUS would be a good choice as I have used that already, therefore, no inhibitions now. 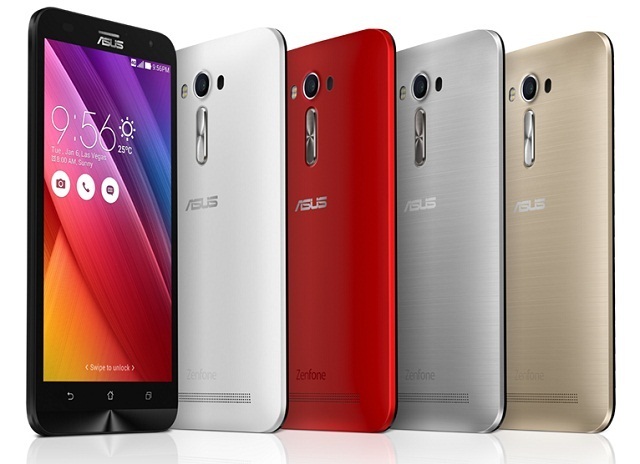 After searching the appropriate model out of the ASUS Zenfone series, I settled on ASUS Zenfone 2 Laser in white. The phone has great features like 5.5 inch screen size, with 1.5 GHz Qualcomm Snapdragon 615 MSM8939 Octa Core Processor, HD IPS display with corning Gorilla Glass 4. A 13 MP PixelMaster rear camera, an f/2.0 aperture lens, zero shutter lag, Toshiba sensor and Dual LED Real Tone flash - this Zenfone clicks amazing, high-resolution pictures and videos. The device also comes with a 5 MP front camera. I shortlisted ASUS Zenfone Selfie for myself if I happened to be the lucky one to get the gift for myself. I think ASUS Zenfone Selfie has the good enough size which is 5.5 inch with 13 MP rear and 5 MP front camera with Gorilla glass.